Adam Lambert is here "For Your Entertainment"! 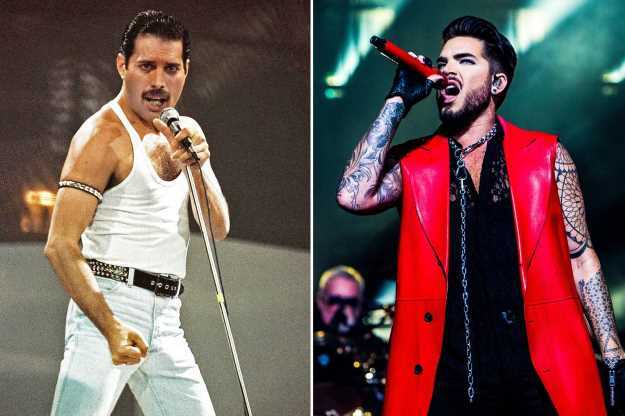 Queen has played an integral part in the pop star's career since his cover of the band's classic "Bohemian Rhapsody" scored him a slot on American Idol in 2009. Later, the rock act joined Lambert onstage to perform "We Are the Champions" for reality show's season finale. The Idol runner-up has joined the band on tour since 2012. And now, the vocalist is fronting Queen + Adam Lambert's "The Crown Jewels" 10-date Las Vegas residency at the Park Theater at Park MGM, through June 22. 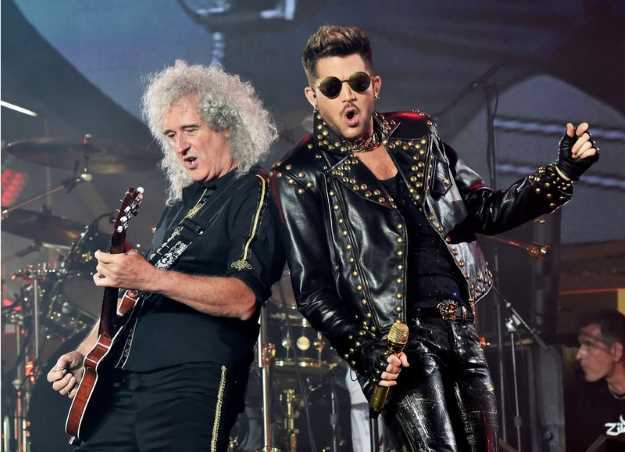 Ahead of the Sin City shows, PEOPLE caught up with Lambert, 36, about standing in for Freddie Mercury, his onstage fashion - and how playing with Queen has inspired his own music. You've been touring with Queen since 2012. Have you gotten used to filling in for the late, great Freddie Mercury? When we first got together to perform a whole show, I'm happy to say it went really well. It was a success, and we pulled it off - but man, I was really nervous beforehand. Not only did I have to make sure my voice held up and I know all the words. ... But it was also the perception of the fans; I definitely had some concerns. This is not my music that I wrote: This is me, as a guest, with one of the greatest rock bands of all time, singing the songs that one of the greatest rock singers of all time brought to life. And Freddie is irreplaceable. There's no way to compare to him. It was always my hope that audiences would understand that I'm up there just excited to sing great music that everyone knows. And also to facilitate an opportunity for Brian [May] and Roger [Taylor], to keep being onstage and playing. Watching them delight in this connection with their fan base is really, really inspiring. This is what they were made to do; this is their legacy. And I'm just happy to be a part of it. So how many costume change can we expect? Listen, the band is called Queen. I'm a queen - let me let you have it! Freddie's fashion was so flamboyant. It gives me a free pass. I go further with some of the stuff I wear with Queen than I would in my own wardrobe, just because I feel like some of the songs just beg for that. They want to be tarted up, you know? Also, the '70s, when Queen started - the glam rock era - is one of my favorite in music and fashion. I try my best to create little homages to that time period. Over the past couple of years, I've gathered a large wardrobe of different looks. Sometimes I remix them with other things; sometimes it's last-minute and I spend way too much money on something - like a pair of shoes! [Laughs] It's all for the audience; I give 'em something flashy. You haven't released a solo album since The Original High in 2015. How is your next album coming along? It's coming! I've been working really hard on it over the past few years, actually, and I've definitely stretched out the process with this one. I think I've learned a lot about myself in the process, I've learned exactly what the sound and the vibe is gonna be - it took me a second to figure out what I wanted to create. I think that touring with Queen extensively has definitely influenced the project. I have a better understanding now of how to take a recording and perform it live. And one of the things that makes Queen so powerful is that their songs sort of transcend genre and time. And that's something that I've been conscious of on this project - not to get boxed into trends or a specific sound; it's very fusion. I've also been made aware, through Queen, what, lyrically, makes a powerful song and why the fans keep coming back to them: It's because they affect us all, and they are songs about the human condition and the human heart. I think those things are universal, and I love that. I love reminding myself of that when I get in the studio.